Mind-boggling isn’t it? With all the things happening around the latest gadgets that we can find in the market we would also want that one we are holding is hip and on the go as always. Why would you want to Jailbreak your iPhone you may wonder, is there any advantages to it? Why Jailbreak? Let me inform you, Jailbreaking is the process where your iPhone firmware is reformatted to allow unspecified code to flowingly gain avenue which makers would not, by any chance, let you access. 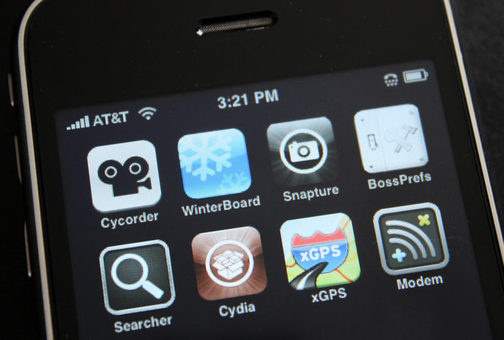 And you should also be informed that Jailbreaking your iPhone is legal, first and foremost. It is not risky at all – you had nothing to worry that your iPhone might be damaged or something to that effect. If thing could go wrong while jailbreaking your iPhone, you can easily restore it to factory settings. Video recording for your iPhone 2G or 3G – you will be more updated in recording your videos in a more stylish way. Enable flash with iMobile Cinema – after installing your iMobile Cinema you can now visit webpages of your liking, just a click away and your fave movie is in. View your iPhone on your TV with TVOut – if you want bigger screen that is, anything that’s on your iPhone you can now watch in you TV with ease. Watch all your favorite TV series – yes, you will not miss any of your favorite TV series wherever you are. Filter incoming calls with iBlacklist – this will enable you to block calls and select or hide sms in your iPhone. Email your voicemails with Voicemail Forwarder – this is a latest application which will enable you to forward voicemails from your iPhone to somebody else via email. Organize your apps into folders with Categories – enough with the mess for this will make your iPhone home screen clutter-free. Transfer files via Bluetooth with iBluetooth – this application empower the file transfer in your iPhone. Unlock your iPhone – with this you can remove SIM restrictions allowing the use of your iPhone on any carrier. Jailbreaking gives you the additional unauthorized application installers to your iPhone. With this possibility it will allow you countless downloads there is in the web. You can do anything with your iPhone that will make your lifestyle more fitted and up-to-date matching the fast pace of the new generation. Free your iPhones now with all the possibilities that you can do with it. Millions of the now generations already have there state-of-the-art gadgets. And numerous people are discovering new possibilities make their gadgets more updated. With new breakthroughs you will be able to free yourself to old habits and renew to a more exciting place where there are no boundaries. If you find our tips helpful to you and so we are very much pleased to serve people eager to embrace the changes that life has to offer. Free yourselves – Jailbreaking is the more appropriate way to elevate your stylish life. About Author: This article is provided by Jane Cartnel who writes for http://www.spywareremoversreview.net, a site featuring spyware removal tips and how to chose best antispyware software advices.